Every once in a while a customer gets creative. Jim in Colorado is a shining example of this. He took our lattice top vinyl privacy Curious George Fence and positioned it between brick pillar posts. The before and after pictures display a startling contrast. This truly is a fence project well done! 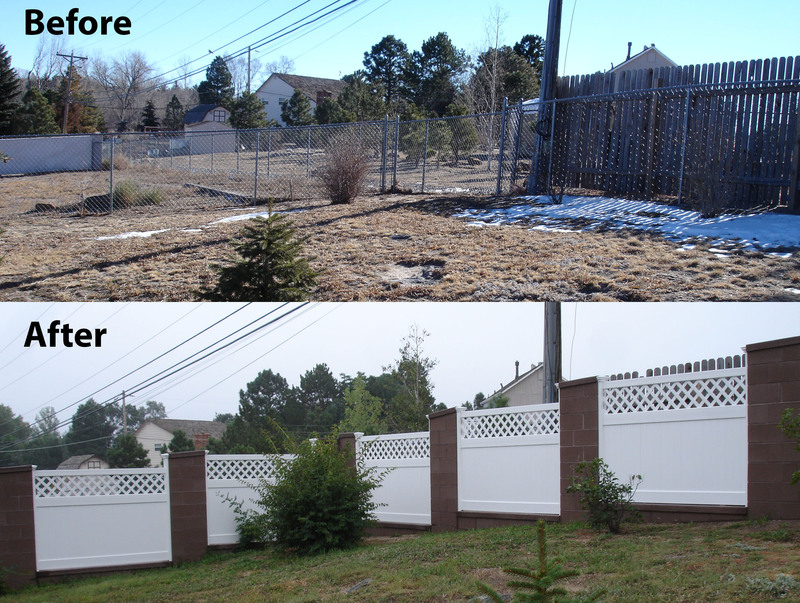 Jim in Colorado created a striking difference in his yard with the vinyl lattice top privacy fence beautifully positioned between brick pillars. I’m sure Jim is the envy of his neighborhood!